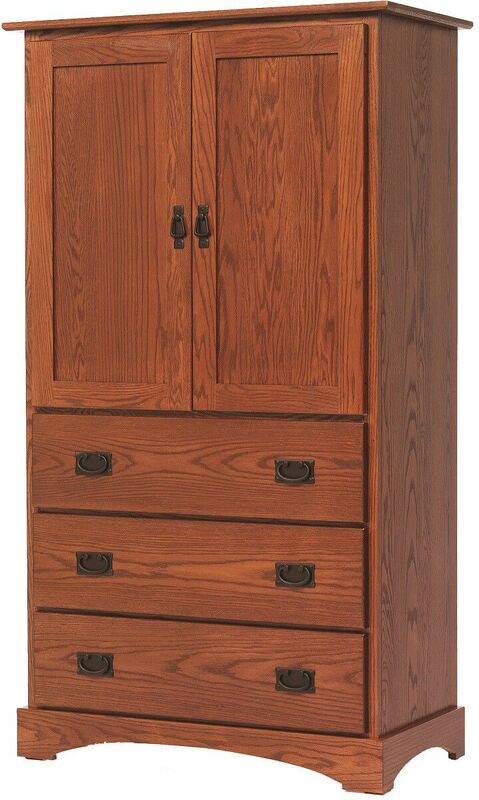 Handcrafted of solid wood by our Amish artisans, the Mission Hills Clothing Armoire is assembled using durable, time-tested mortise and tenon joinery. Clean, simple lines paired with a gently arched base create the one of a kind Mission Hills Armoire. 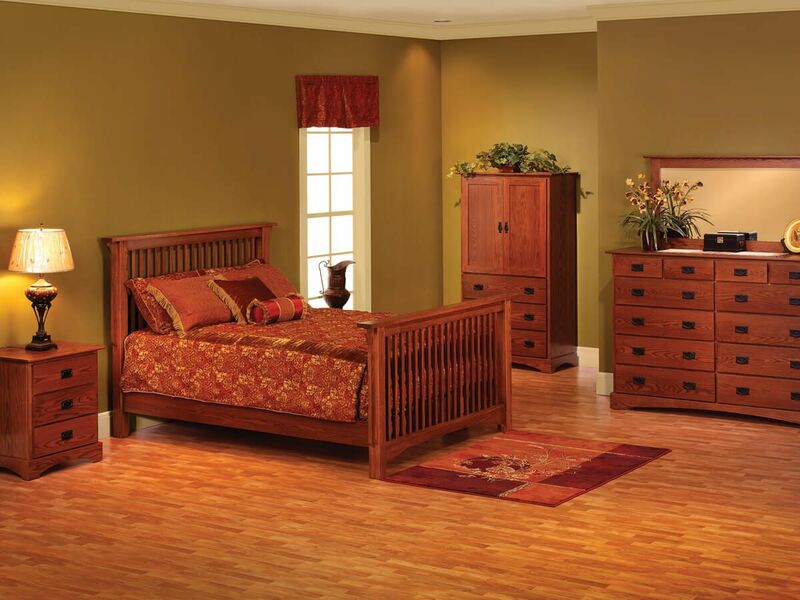 This 2-door, 3-drawer bedroom storage piece is Amish-made from solid American hardwood. Our Mission Hills Armoire is standard with a hanging clothing bar and two adjustable shelves behind the double cabinet doors. 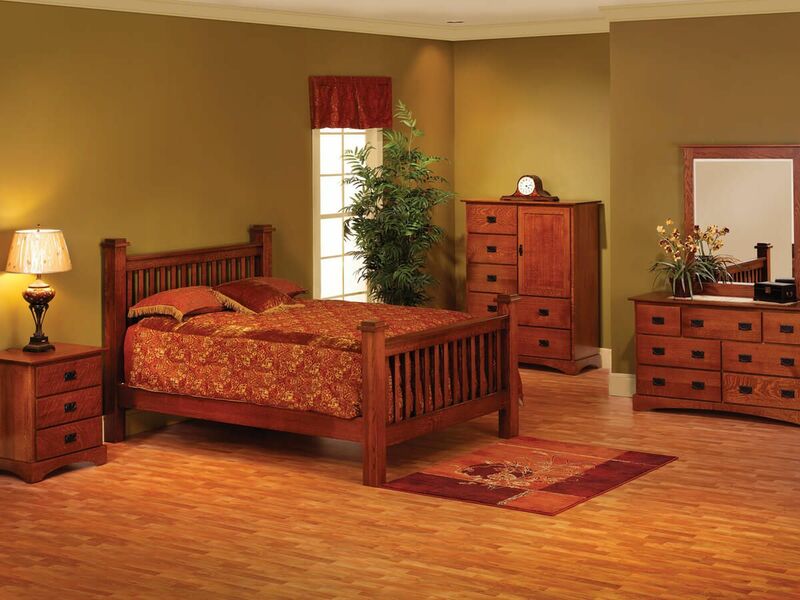 Three lower drawers are dovetailed for strength, and open on full-extension soft close slides. 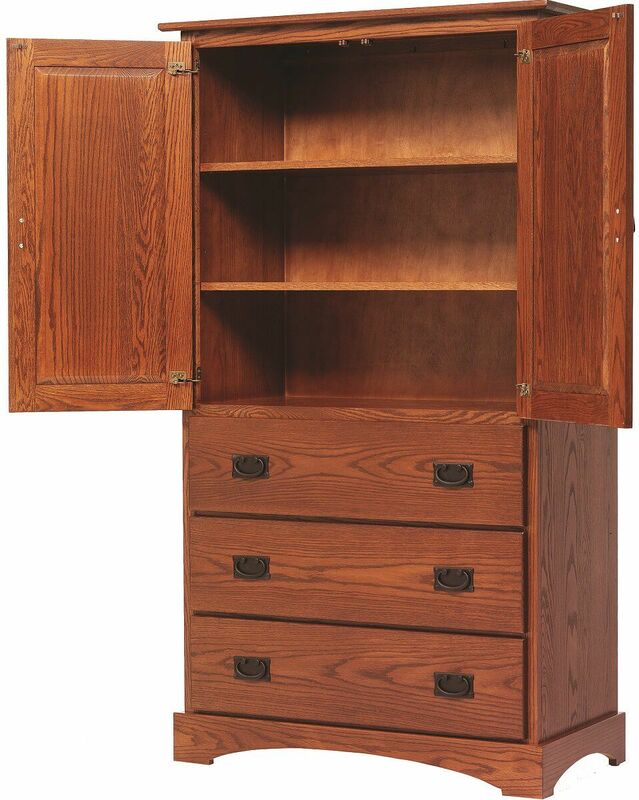 To order the Mission Hills Armoire as shown, choose Oak as your wood type and Sassafras as your hand-rubbed wood finish. Black Mission hardware is standard, but the choice is left up to you.